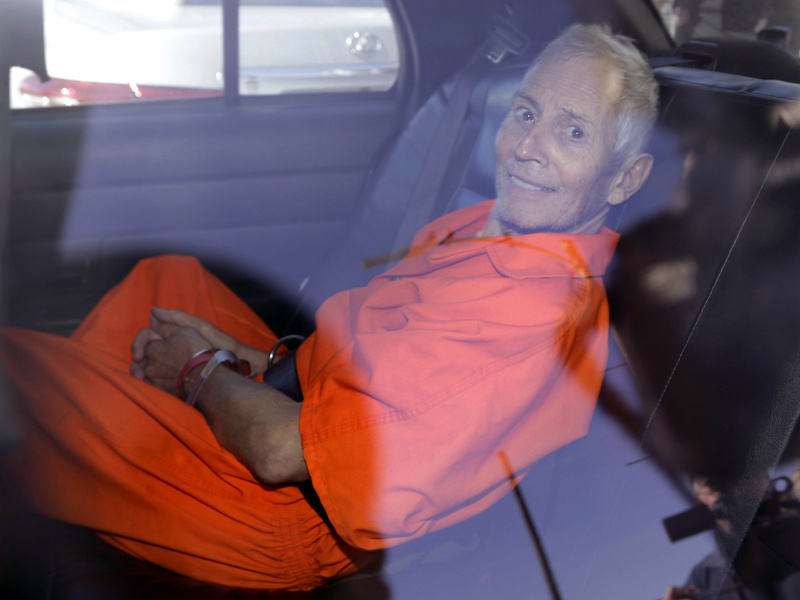 Robert Durst sits in a police vehicle following a court appearance in New Orleans on March 17, 2015. Robert Durst appeared in a Los Angeles courtroom Monday to face a murder charge in a 16-year-old case. The real estate heir pleaded not guilty to the execution-style killing of his friend, writer Susan Berman, in her Benedict Canyon home in the winter of 2000. Durst captured America's attention as the subject of the HBO documentary series "The Jinx." The series examined the disappearance of Durst's wife back in 1982, Berman's murder, and the killing of Durst's neighbor in Galveston, Texas. Los Angeles Times reporter James Queally was in the courtroom Tuesday. He joined Take Two to explain where the case goes from here.